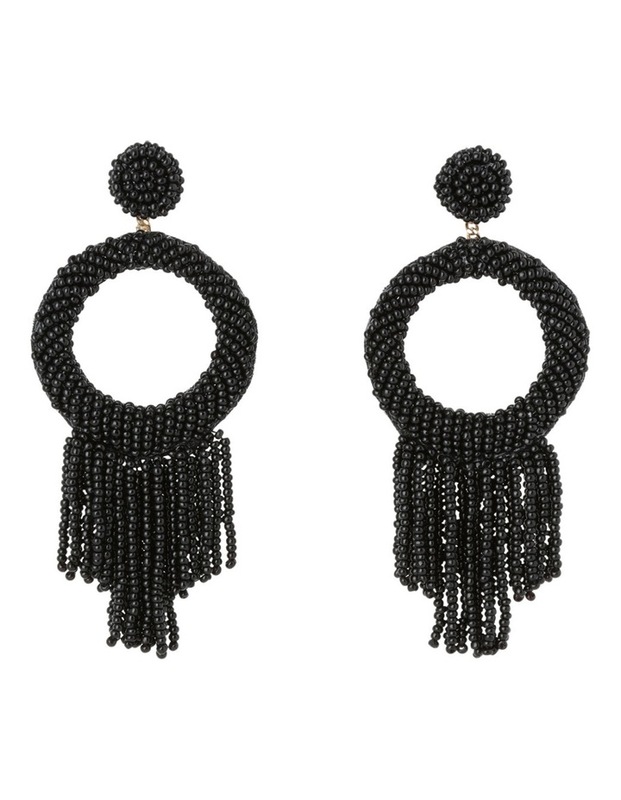 Statement Seed Bead Drop Earring Black. 75% Glass 20% Felt 5% Brass. Style no. A72228BA.